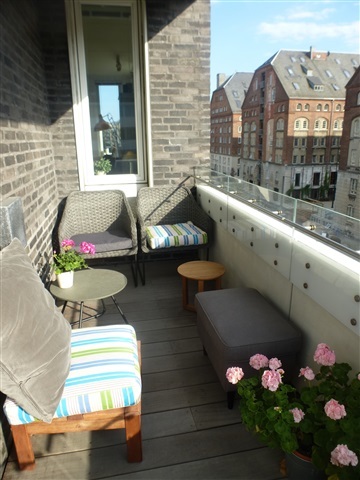 Lejlighed, Klaksvigsgade, 2300 København S, etage: 3. tv. This wonderful 2 rooms furnished apartement is for rent until 15th May. 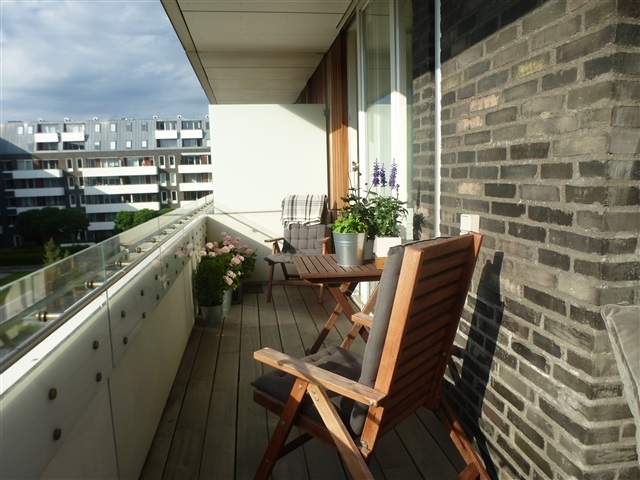 It is in an outstanding very moderne building, a beautiful architecture,made of a famous danish architect : Hammer Schmidt Lassen. 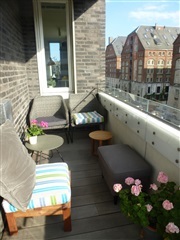 The apartement is very light and cosy, at the 3th floor with lift, underground free parking, locked room for bikes. A big terrace facing south west. There is also a big garden with sunbenches and tables for free using. It is located at Islands Brygge , a nice and quiet atmosphere with shops, supermarkeds, café’s and restaurants. Everything you would need. The waterfront is just behind the building. 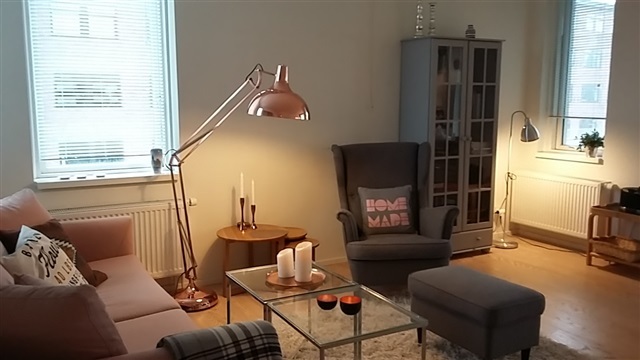 15 minutes by car from the airport, and 700 meters to the metro. 10 minutes walk to the city center. There are woodenfloors in all rooms, exempt bahtroom. Entrance with cupboard. 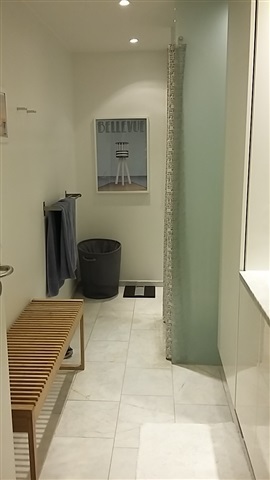 Big bathroom with floor heating, shower, WC, vasque with marble top, lots of cupboards, and washing+tumble dryer. Sleeping room with 2 adjustable beds, makes it 180 cm dobbelbed. 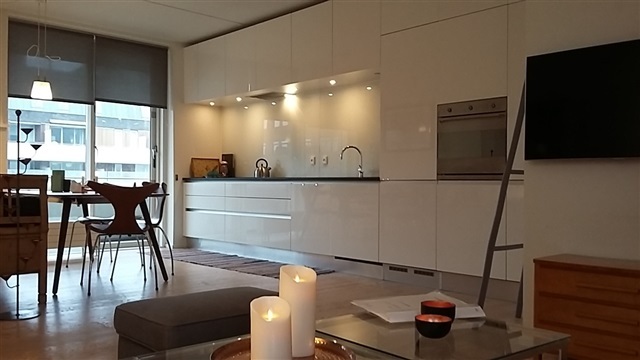 Cupboards with white laquered slinding doors. A huge living room with open kitchen and slinding doors to acces the terrace. It is very light, sunny and cosy, the windows are facing Est, South and West. The kitchen is very wel equpped, with dishwasher, oven, fridge/freeer, cooking plates, Nespresso coffee machine. You find Flatsreen, Ipod docking station, WIFI in the apartment.